Thanks to those beautiful designs of dog clothes, our dogs could be more adorable. And there are more and more clothes for dogs to spice up, and there are also clothes for protecting your little puppy from the cold, rain. 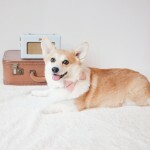 Absolutely, there are also shirts, raincoats, shoes and more for your dog on the Banggood.com.